If you listen to a lot of pundits they are all quoting one cliche when talking about this Champions League Final match up, “‘This game would be won and loss in the midfield”. This statement though, may well be true. Barcelona are pass-masters in the middle of the park and it is wise for any opposition coming up against them to, at least, match them in numbers in this area. Real Madrid found this out the hard way when Pepe was sent off in the semi-final first leg. Xabi Alonso, who was man marking Lionel Messi between the lines, while Pepe and Diarra focused on Xavi and Iniesta, was instructed to form a flat two in the centre of midfield along with Diarra and Madrid were outnumbered 3v2 in that area and Barcelona dominated from then on. Sir Alex Ferguson would surely resort to his European strategy of flooding the midfield and ensure that each of his midfielders has a definite marking assignment. A criticism of Carrick is that he is not as effective when not given time on the ball and coming up against Barcelona he is definitely going to be pressed. Unlike his opposing counterpart, Xavi he does not have the evasive skills to fend off and get around players closing him down quickly. The 37 year old, who continues to defy logic best illustrates Sir Alex Ferguson’s abilty to produce adaptable footballers. Giggs has evolved from a flying winger to an attacking midfielder and now he has settled nicely in his new role as a centre midfielder. What he brings to the United midfield is experience, creativity and drive. A combination which cannot be found in any other United midfielder. This combination also compliments Michael Carrick very well who will sit in front of the back four while Giggs ventures forward. As a converted winger he does like to drift to the left flank where he combines with the wide players to provide crosses into the area. He leads United in the Champions League with 2 key passes and 4 assists per game and his creativity and excellent deliveries both in open play and on set pieces may prove vital to United getting on the scoresheet. For the final, Giggs’ defensive abilities would be tested as he is most likely to come up directly against Andres Iniesta. Though he would be required to get forward as much as possible, as would Iniesta, he must also be cautious and selective when making his forward runs and not be caught out of position. In the middle of the park Manchester United will be up against the three players who were shortlisted for the 2010 FIFA Ballon D’or. It doesn’t look like Sir Alex Ferguson would not have the services of Darren Fletcher, who I think he would have loved to go with from the start, for the full 90. 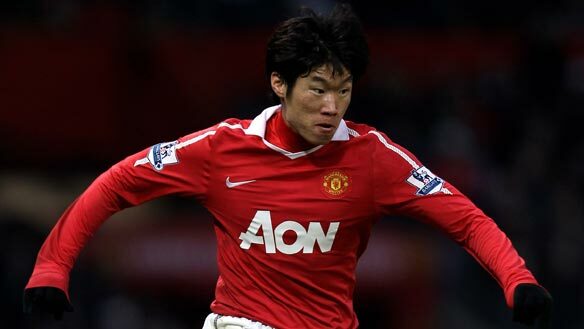 His defensive intensity in the midfield may have seen him get the nod ahead of Ryan Giggs. With that being said, these three (who I believe would start) would have to be disciplined executing their defensive duties and also help the team transition from defense to attack very quickly. 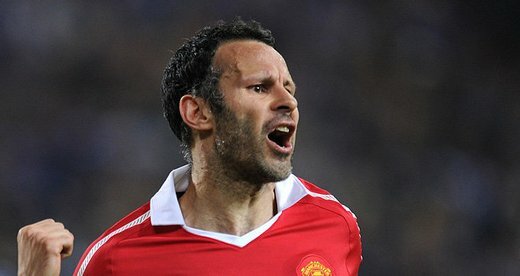 Most interesting match up to watch would be Giggs vs Iniesta as the both are mostly known for their attacking qualities. Carrick vs Messi though is definitely going to be the most crucial match up as the Barcelona’s number 10’s role as a ‘false 9’ main objective is usually to drag a central defender out of position creating space for the wide forward to make diagonal runs onto through ball from the midfield. 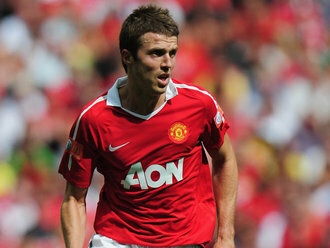 Thus Carrick’s responsibility would be to sit between the lines and pick up Messi when he drops to receive passes. This trio would also have to be very astute with the ball when in possession. They would have to avoid getting caught in possession and help United create chances in the little time they may be on the ball.